Students and staff are welcome to visit the media center at any time—our hours are 7 a.m. to 3:15 p.m.
Google – Access Google Apps. 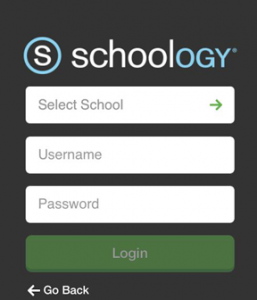 Schoology – Access online course information. Book Trailers – Preview books like you would a movie. Scroll down to find login help. Check out our collection of online databases; these companies provide student access to reference resources, including newspapers, books, magazines and multimedia content. Find instructions for accessing the district’s account with Follett eFiction. EBSCO Host: Five databases: Academic Search Premier contains indexing for nearly 8,050 publications, with full text for more than 4,600 of those titles. PDF backfiles to 1975 or further are available for well over 100 journals, and searchable references are provided for more than 1,000 titles. Infotrac: Users can access information effeciently by cross searching up to 10 multiple databases. Allows users to simultaneously search InfoTrac suite of products, as well as Gale Virtual Reference Library databases in the same query. Includes: Litfinder, Informe (Spanish Magazines), General Science Collection, Discovering Collection, Student Resource Gold, and more. CultureGrams offers concise, reliable, and up-to-date country reports on more than 200 cultures of the world. CultureGrams go beyond mere facts and figures to deliver an insider’s perspective on daily life and culture, including the history, customs, and lifestyles of the world’s people. CultureGrams includes the World Edition, Kid’s Edition, State’s Edition, and Canadian Provinces Edition. ProQuest Newsstand Complete is an accessible and thorough Web-based database with citations and abstracts from over 350 newspapers, over 250 of which provide full text, enabling users to search the latest news from around the world. Critical Insights series -This comprehensive series distills the best of both classic and current literary criticism of the world’s most-studied literature. Each volume in the series focuses on an individual author’s entire body of work or on a single work of literature. Chronicle Occupational Briefs present information on more than 2,000 occupational titles, including 650 comprehensive occupational descriptions, ranging from those that require a high school diploma or less, through professional careers. You may select from the more than 2,000 occupational titles in the Alphabetical List of Occupations to find relevant occupational information. Students can access free eBooks with the district’s Destiny Quest Mobile and BryteWave Apps. Many websites offer free audio books that are in the public domain and are read by talented narrators. Download stories directly onto a computer, and put them on an iPod or other mobile device or burn them onto a CD. Below are some good places to find free audio books on the web. Librivox should be your first stop for audio browsing. Podiobooks is an interesting way to get audio books; they offer complete books in episodic form so you can get just a chapter at a time via RSS or by iTunes. In addition, you can simply click and listen to a story online. OpenCulture Free Audio books has a long list of quality audio books, as well as poetry and podcasts. AudioBooksForFree is a large site that offers hundreds of audio books. The only hitch is that their books and lectures come in small files; you can download a book all at once for a fee. ThoughtAudio has a worthwhile selection of classics. Learn Out Loud has one of the best collections of audio books, lectures and educational podcasts. Lit2Go is a collection of stories and poems in audio book format, from the Florida Educational Technology Clearinghouse. BooksShouldBeFree gives you a dozen plus categories to choose audio books from – from anthropology to war. Project Gutenberg has a large selection of human-read audio books. Search by author, title, language and more. A big problem with online research is that a lot of the information offered up is not checked for accuracy and may not even be true. This is why students must determine a source’s credibility while evaluating materials. Much of what we see on the web today is misleading or just plain wrong. The research resources shared above are reliable, accurate and dependable. But if you use other sources, you need to know how to tell the good stuff from the bad, and it can be hard to tell the difference. New Hartford, Minnesota – Visit the city of New Hartford, Minnesota. Read about it. Then find an atlas and locate it on a map of Minnesota. Mankato, Minnesota – Visit Mankato, Minnesota. Find it in an atlas. By the way, did you know about all these great attractions are right here in our state? These two web pages look real but New Hartford, Minnesota, does not really exist, and the Mankato web page is a fake. Mankato, Minnesota, is a real city, but this is not their website. Instead, see http://www.ci.mankato.mn.us/. Some internet sites look like they have good information but are really designed to fool you. This site about Martin Luther King, Jr., at http://www.martinlutherking.org/, looks real but is run by a neo-Nazi organization and is filled will fake facts, misleading information and racist content. Whereas, Stanford University’s site is a trustworthy source of information. The Dihydrogen Monoxide Research Division provides a lot of information about this essential chemical. Or does it? Can you figure this one out? Clones-R-Us at Dreamtech International has fooled many people. Save the Mountain Walrus will teach you what to do to help save this endangered species. Other Bogus Websites? Maybe: decide for yourself. Find information for students and parents about using iPads as part of the high school curriculum. Staff can check availability of the media center’s computer labs below and then contact us to reserve space. All students in grades 9–12 are issued an iPad for educational use as part of a 1:1 iPad program. The program uses digital curriculum materials, student collaboration tools, and individualized instruction in all subject areas with the goal of enhancing student learning. Passwords are the same as they use for logging into the school’s Novell system (the user name and password they type to access a Windows-based computer in the building.) In the event they cannot remember this password, media center or tech team staff can assist students in the media center. 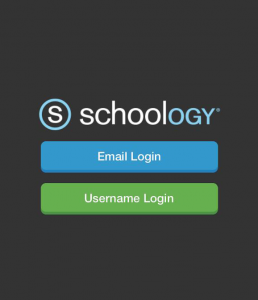 Students can access Schoology on either their iPad or a computer, using one of two login methods: email or username. Password: First four letters of first name plus 4-digit lunch number, e.g. Jess1234. Most login issues actually surround the spelling of student usernames or transposing letters in the email address. Having students double check this often fixes the problem. In addition, when using the username login, make sure they’ve selected Northfield, MN, as opposed to another school. If one login strategy doesn’t work, try the other. 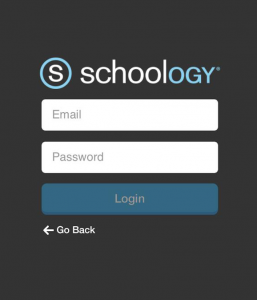 If neither works, have the students go to http://nfld.schoology.com on their iPads and attempt the web login as opposed to the iPad App. If students have actually forgotten their password, any of the media/tech staff can assist them in the media center. Students who cannot login to Skyward should contact the Counseling Office for their username and password. Lost your iPad? Watch a video tutorial on how to use Find My iPad.